Here in Williamson County, we have an unbelievable amount of talent in our midst. I could write a story everyday for this column and still not cover everyone worth mentioning. So I will continue to share with you the ones that I have the privilege of getting to know who shine the most. 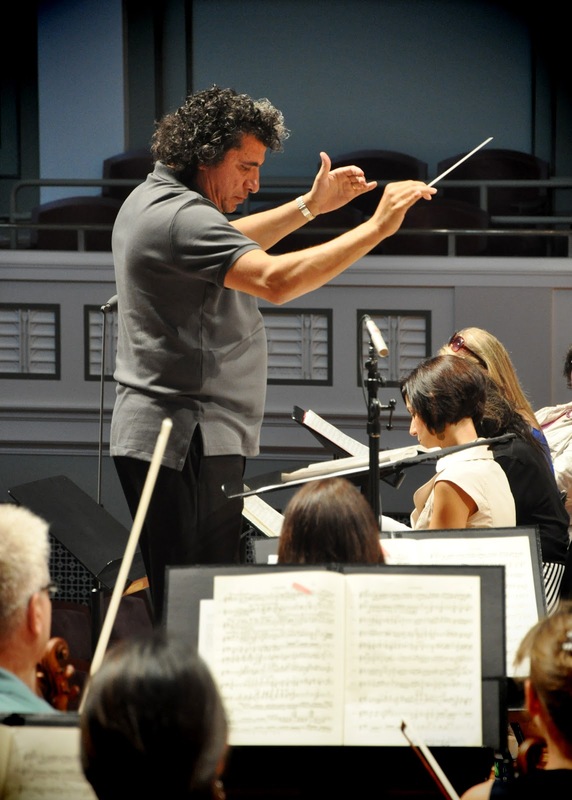 Giancarlo Guerrero, the conductor of the Nashville Symphony Orchestra, is definitely fits in that category. I recently spent an afternoon with Gioncarlo, and it was incredible. We talked a lot about his love for Nashville and all the things that make it so unique. He certainly does not take any of it for granted. He says that of all the places he has conducted, Nashville is his favorite. There is nowhere else where you can hear a world-class symphony and go a couple of blocks and then hear the best country and blue grass music around. Unlike many other conductors, Gioncarlo lives where he conducts. He believes that the music director should be a part of the community. He wants to learn the people and know what works here. He desires everything to have relevance to Nashville in the present time. His being here and having access to Nashville gives him the ability to serve the community through performances and outreach, and he feels he has a huge responsibility to keep audiences for years. Giancarlo wants to get rid of the myth that classical music is for a certain class of people. He wants everyone to know that the orchestra has something for all audiences. He says even what to wear can be scary, but when he goes to a symphony that he is not conducting, he prefers to wear his blue jeans. When Giancarlo is conducting, he welcomes spontaneity. He trusts his musicians so much that he gives them the freedom to make changes in the moment, if they feel moved to do so. Not the actual music per say, but more of the energy and response to the audience’s reaction. He also loves when things happen in the audience that some conductors would find disturbing. For example, one time someone dropped a glass of wine from a side balcony, and it shattered on the stage. He thought it was funny. He adores children in the audience and hearing their laughter. There has, however, been an incident that he could have done without. He accidentally stabbed himself with his baton. When he removed it, he was bleeding so much that he had to put it back in. I guess the show must go on whatever the cost! No matter the situation, he handles it with grace and style. After visiting with Giancarlo, I was fortunate enough to attend a rehearsal, and it was more laid back than I imagined it would be. Every time he addressed the orchestra he would start by saying “My friends”. He is definitely not a stereotypical conductor. Someone in the brass section dropped his smart phone (probably in the middle of a game of “Words with Friends”), and Giancarlo did not say anything about it. I love that about him. He knows that the caliber of musicians he is working with do not need to be on a tight leash. If I were in the orchestra, he is definitely the conductor I would want leading me. I would be the one dropping the phone, hopefully in the middle of a triple letter, triple word score.